A problem that salespeople often face with their prospects is when prospective buyers end up delaying purchases because of other plans or distractions. A lack of urgency might delay an otherwise interested prospect from completing a purchasing action. Therefore, the secret to closing businesses is sometimes as simple as creating a sense of urgency to go with the sale. 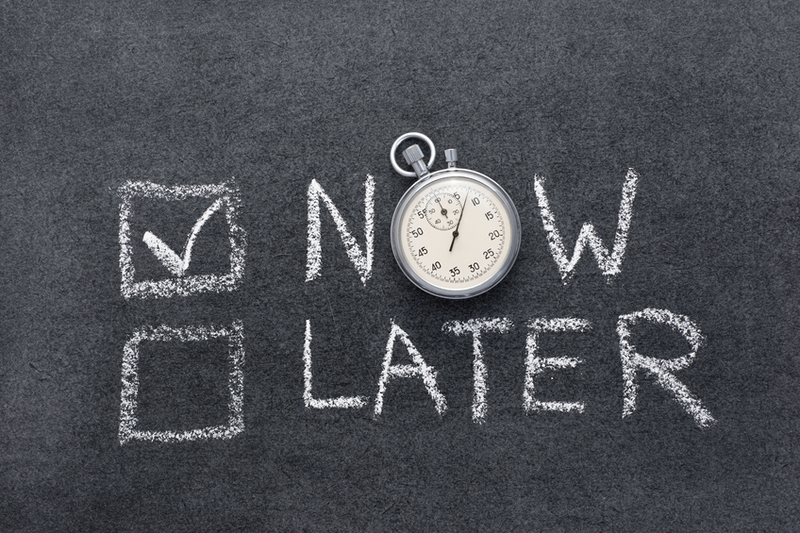 Here are a few practical tips for creating a sense of urgency in sales. First and foremost, if the prospect is uninterested in your product, no amount of urgency will sell. Creating a sense of urgency will therefore do nothing to close someone who was never a quality prospect. With that in mind, you have to make sure that your prospects feel a real need for whatever it is that you’re selling. Ask questions and use closing tactics that lead prospects toward recognizing their needs and feeling the pain—right now. If they think that solving the problem later is an option, you’ve lost the battle (and the prospect!). “Buy now!” doesn’t create urgency, but “Limited quantities available” just might. It’s impossible to know what your prospects want and need if you haven’t first taken the time to understand and listen to what they have to say. The less you work to pitch the customer, the more you’ll get their attention. By engaging prospects in this manner, you may be surprised to find that they come to the conclusion that they need your product or service—sometimes without you even pitching it. Even if they don’t, you can use what you’ve learned about their pain and problems to give a pitch that actually resonates with them. Without a specific deadline, there is no sense of urgency. Similarly, phrases like, “This promotion won’t last long!” or “Limited time only!” are way too open-ended to be effective. Instead, give an exact deadline for a specific offer or a quoted price so that if prospects are really interested, they have no choice but to act before the offer is no longer available. A specific deadline also gives you a reason to call and follow up with prospects if they’re slow in moving forward with a deal. Remind them that the deadline is fast approaching, and this is their last chance to act! Take this opportunity to remind them of what will happen if they don’t act—the problems they told you about will remain unsolved. By rewarding your customers for acting in a timely manner, you also increase satisfaction and reinforce the purchase they made with you. It’s not hard to create urgency using ethical sales tactics. In part 2 of this article we’ll discuss the best time to call prospects during the day so that you have their full attention.